Teltek technical staff, working for the University of Vigo, have developed the eduOER media portal for GEANT (the consortium of the European NRENs). 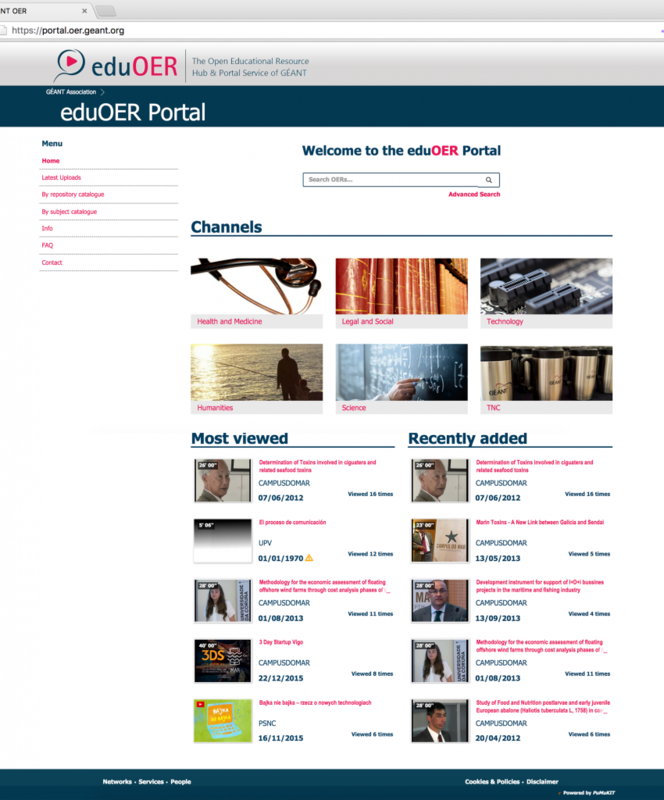 The eduOER project is an Open Educational Resource (OER) metadata aggregation hub and portal service with the aim at facilitating access to digital multimedia learning content at the European level. In its current pre­-launch stage the system is already handling more than 40.000 videos and audios. The media portal developed by Teltek staff is based on a PuMuKIT platform and is designed to provide the best user experience possible based on available metadata. Teltek has collaborated in the project and metadata definition and also in developing the needed integration code between the portal and the metadata harvesting engine, all of that working toe to toe with the eduOER team from Israel, Greece, Italy, the Netherlands and Hungary. The system will be finally announced during the Geant GN4 Symposium that will take place in Vienna on 8th-9th of March. EduOER portal can be found clicking the image on the right.